Owning a pet is great for your health, and dogs might just be the coolest pets ever. October is Adopt A Shelter Dog Month, so there’s no better time to bring home a canine companion than right now. The health benefits of owning a dog are well-documented, and more benefits are discovered all the time. Researchers from Goldsmiths, University of London carried out a study centered on the empathetic responses of dogs. They found that dogs approached people who were crying (or pretending to cry), even when it meant choosing a crying stranger over their owners. This, according to the researchers, suggests empathetic, comforting behavior by the dogs. In other words, the dogs want to comfort people, plain and simple. Anyone who’s owned a dog will swear that there’s no stress-reliever that can compare with a pair of big, soft eyes, fixed patiently on you as you moan and complain about your day, except perhaps a goofy dog bouncing around the room. In fact, it’s been shown that dogs actually do reduce stress. Some companies are allowing, and even encouraging, employees to bring their dogs to work, because of the benefits of having a dog around. In one study, it was found that employees who didn’t bring their dogs to work had drastically higher stress levels by the end of the work day, compared to employees who brought their dogs. Owning a dog might even reduce the risk of heart disease. This might be because owning a dog can lessen stress levels, which in turn lessens the risk of heart disease. It may also be thanks to the increased activity levels of dog owners. Taking care of a dog can increase the amount of activity an individual does, which can have serious health benefits of its own. The Centers for Disease Control and Prevention (CDC) recommends that adults get about two and a half hours of moderate-intensity activity per week, which can be broken up into just over 20 minutes every day. Walking a dog is a fun way to get that activity in. One study even suggested that dog-friendly neighborhoods and education about the physical needs of pets could help reduce human obesity. Even playing a simple game of fetch down the hall can be good exercise for both dog and owner. Also, don’t forget the other jobs that come along with a dog, such as carrying bags of food or shuffling around the yard to clean up, which can also add a little activity to your daily routine. Shelter dogs are the best. When you adopt a shelter dog, you are literally saving a life. That in itself is a great reason to adopt, but it’s not the only reason. Lots of shelters will help prospective adopters find the perfect dog. Tell a shelter employee or volunteer that you want a moderately active, housebroken dog who gets along with cats and kids, and odds are they’ll find you exactly that. Some people assume that shelter dogs are in shelters because they’re “bad,” but that’s simply not true. Many of the dogs at shelters are there because, for whatever reason, their owners couldn’t keep them anymore. Perhaps the family moved, the owner became ill, or an existing pet simply didn’t get along with the new dog, but lots of shelter dogs are well-behaved, friendly, and sweet-natured. In fact, many people will readily state that shelter dogs are more affectionate and loving than any other dogs, perhaps because they’re grateful to their owners for being adopted. Also, lots of shelter dogs are mixes or mutts. This can be particularly fun when adopting a puppy. Guessing the dog’s breed and background can almost become a game. Watching a mutt grow up is always a surprise, and having an utterly unique mixed-breed dog can a great conversation starter. 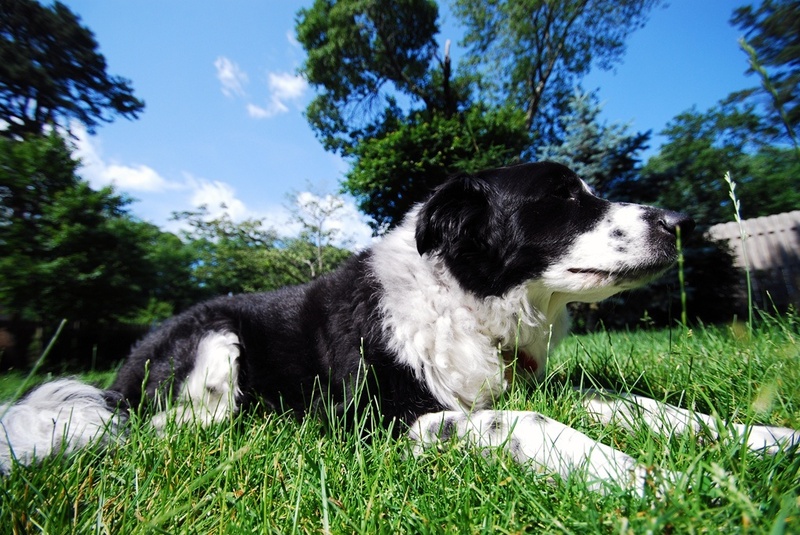 Some research even shows that mutts may be healthier than pure-bred dogs. If you prefer a pure-bred because of looks, because you like knowing what you’re getting into, or just because, there are lots of breed-specific rescue organizations. Also, about 25% of the dogs in shelters are pure-bred. Another big bonus if you adopt a shelter dog: you get to pick the age. Puppies are adorable. They’re soft and cuddly. Watching a puppy explore the world will keep its owners laughing all the time. Raising a dog from puppy to adult undoubtedly creates a strong bond. However, puppies also bark and cry, have no manners, chew everything, have unending energy reserves, and make messes (sometimes messes that unobservant owners step in). If dealing with puppy drama doesn’t sound like fun, adopt an adult or senior dog. An adult dog is much calmer. It will probably be housebroken and it might even know some obedience commands. While guessing a mixed-breed puppy’s future size and temperament might appeal to some people, others prefer to know how it all turns out before committing. Adopting an adult dog is almost guaranteed to be a lot easier, and there’s a good chance that an adult shelter dog will have a lower adoption fee than a puppy. It costs less to adopt a shelter dog. Pet store dogs are usually at least a few hundred dollars. Most are also from irresponsible or unethical breeders and, as a result, might have life-long health problems. Responsible breeders, easily found by going to dog shows or by searching the American Kennel Club’s Online Breeder Classifieds, usually work hard to make sure that their puppies are healthy and well-socialized, but a dog from a breeder is likely to be expensive. Adopting a shelter dog, though, costs just a fraction of the purchase price of a breeder or pet store dog. The adoption fee also usually includes the price of spaying or neutering the dog, as well as its most current round of vaccinations. Some shelters even include short-term insurance, so if the dog goes home with an illness it picked up at the shelter, the shelter will help out on vet bills. Additionally, many pet stores offer discounts on obedience classes for adopted dogs. To adopt a shelter dog, check out Petfinder.com, the ASPCA’s local shelters, PetSmart, Petco, AdoptAPet.com, or The Shelter Pet Project, or go to your local shelter. If you’re not sure whether adopting a dog is right for you, speak to someone at a local rescue about fostering a dog or volunteering at a shelter or event. Do you want to adopt a shelter dog?